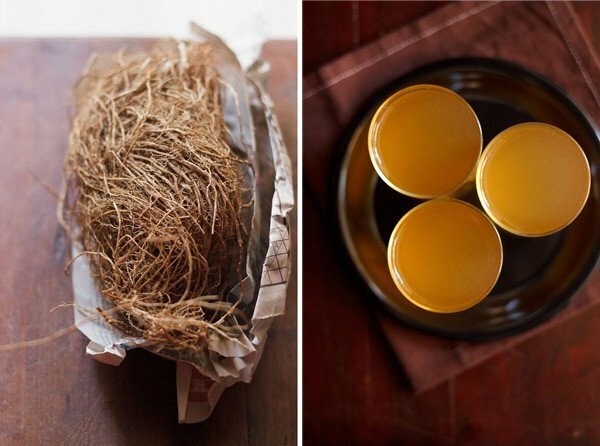 khus syrup recipe - cooling summer drink made from dried khus grass or vetiver without any synthetic color and preservatives. 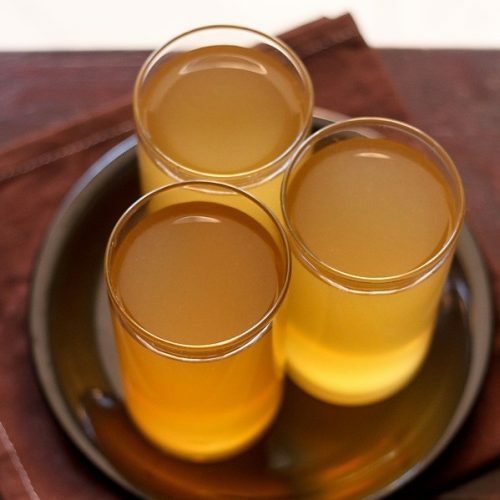 khus syrup recipe with step by step photos – here’s a summer cooling drink made from khus or vetiver (vetiveria zizanioides). what is khus – khus is beautifully fragrant cooling herb. these perennial grasses have a lovely woody aroma. the aroma is reminiscent of sandalwood… though not like sandalwood, but in its subtlety like sandalwood. many of us get confused between khus and khus khus. whereas khus are fragrant grasses that are of the kinds like lemon grass and citronella. khus khus are poppy seeds. both are different and not related in any way. poppy seeds are obtained from the opium poppy. 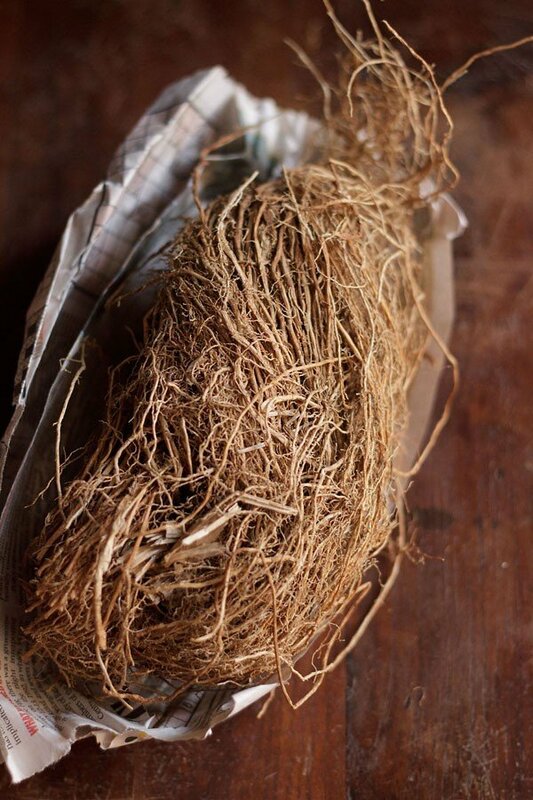 khus is commonly called as vetiver and has medicinal, culinary and perfumery uses. i have actually had khus sherbets and drinks many times in my childhood. we would buy the ready made syrup and they used to have a dark green color. i would always wonder why the green color….. is this khus having such a deep green color that it gets transferred even in the syrup? of course much later i came to know that the green color is not natural but artificial color. after that i never brought khus syrup. i am into ayurvedic reading and cooking these days. so i came across some herbs used in ayurveda that are excellent to heal the doshas (vata, pitta and kapha). khus was one of them. i already knew its cooling properties but did not know its other healing attributes (have mentioned the healing benefits below). so i went to an ayurvedic shop and got the khus and when i saw them… i was amazed. they were dried grasses. a whole bunch of grass still attached to its roots was given to me and all rolled up nicely. below a pic of the dried khus grass. even in its dried form, the khus was wonderfully fragrant. 1. relieves thirst and burning sensations. 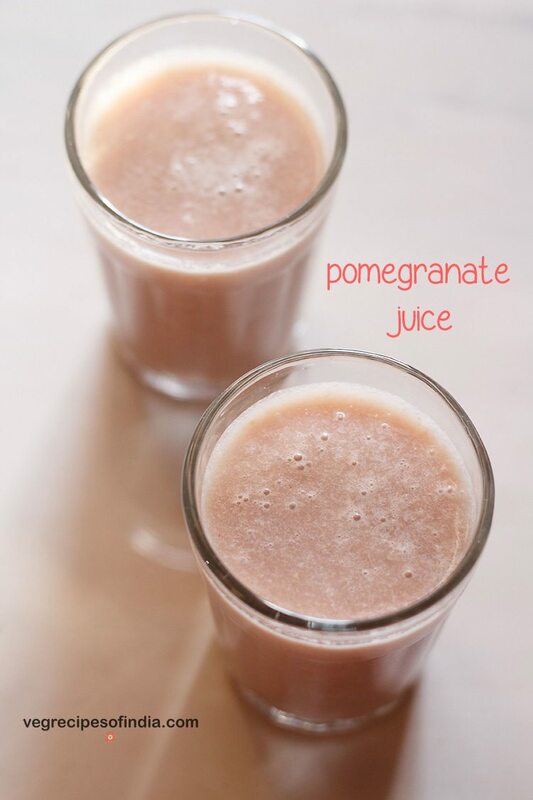 2. purifies and invigorates the blood, skin and genitourinary tract. 3. strengthens the digestive fire and calms both vomiting and diarrhea. 4. incense or essential oil of khus, cools the mind and improves concentration. it also calms the nervous system. i made this khus syrup more than a week ago and we used to have the fragrant cooling khus sherbet or drink everyday, to keep our systems cool. today i again went to the ayurvedic shop and again got a lot of stuff along with khus roots. 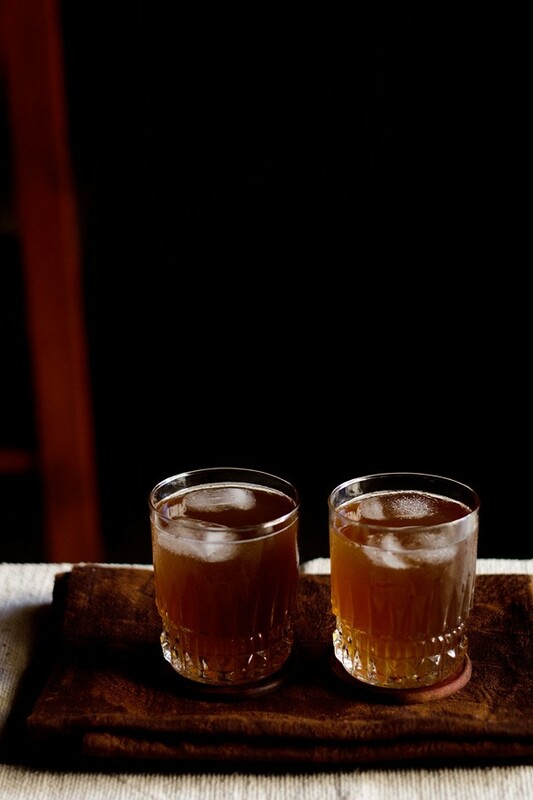 sandalwood powder was one of them and i will be also sharing how to make sandalwood syrup. i read the method on how to make the syrup in an ayurvedic book and roughly followed it. changed the proportions to suit with the amount of khus i had. to make the syrup, i have used organic unrefined cane sugar. i have not used processed or bleached sugar. you can easily buy organic unrefined cane sugar or raw sugar in the organic section in super stores. 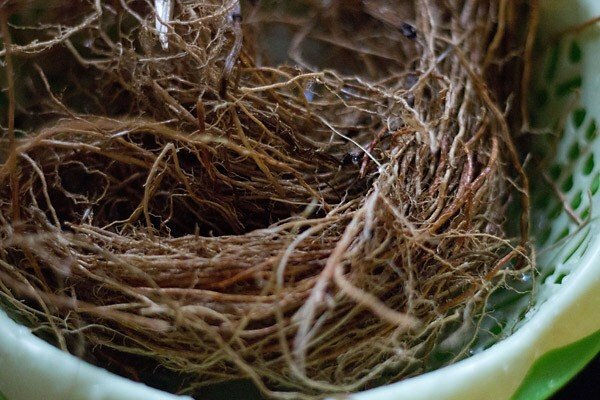 you can buy the khus roots in an ayurvedic shop. the process of cleaning and chopping the khus grass takes a bit of effort initially. but later its easy to prepare the syrup. i used 60 gms of khus roots and the whole recipe yielded 1 litre of khus syrup. refrigerate and use the syrup within 15 to 20 days as no preservative is added. this khus syrup recipe is also without any artificial green color. actually having such healing and cooling syrups are much much better than having processed aerated soft drinks. 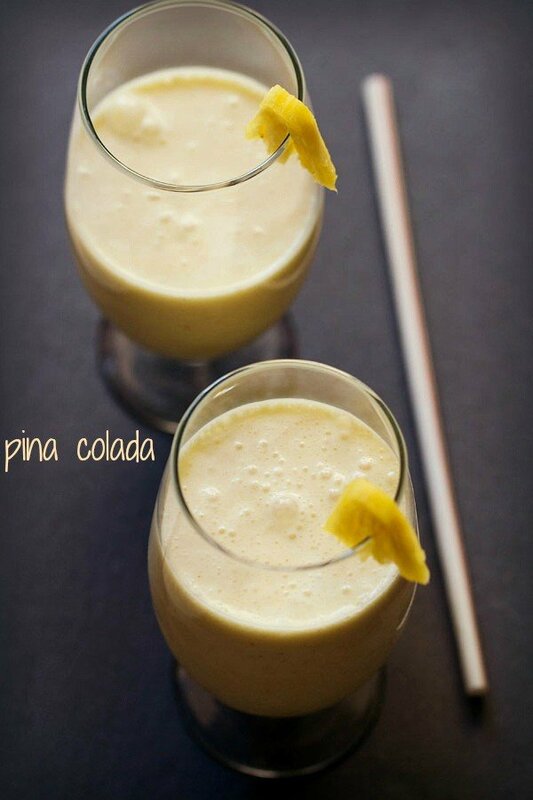 another good option to keep yourself cool is to have yogurt based drinks like sweet lassi, chaas and piyush recipe. 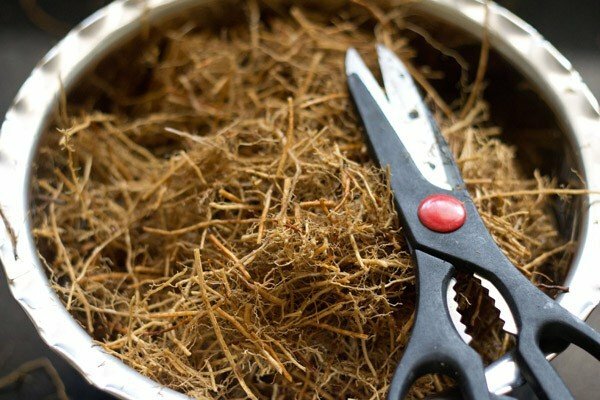 first remove the roots from the grass with a kitchen scissor. rinse both the grass and roots (if using them) well to remove any mud or stone particles. chop the grass with the kitchen scissor. soak for 12 hours in water. strain through a juice strainer and collect the extract. add sugar to the extract and stir. keep the khus extract on the stove top and keep on stirring so that the sugar dissolves. once the solution starts boiling, continue cooking for some more minutes. the syrup has to be sticky. 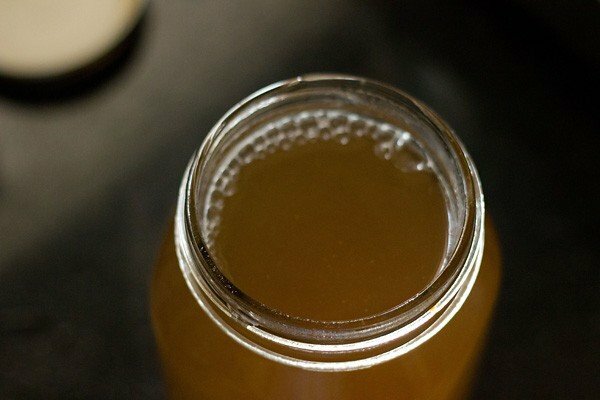 filter the hot syrup directly in a clean glass jar or you can filter in a bowl or pan and then pour the syrup in a clean sterilized jar or bottle. 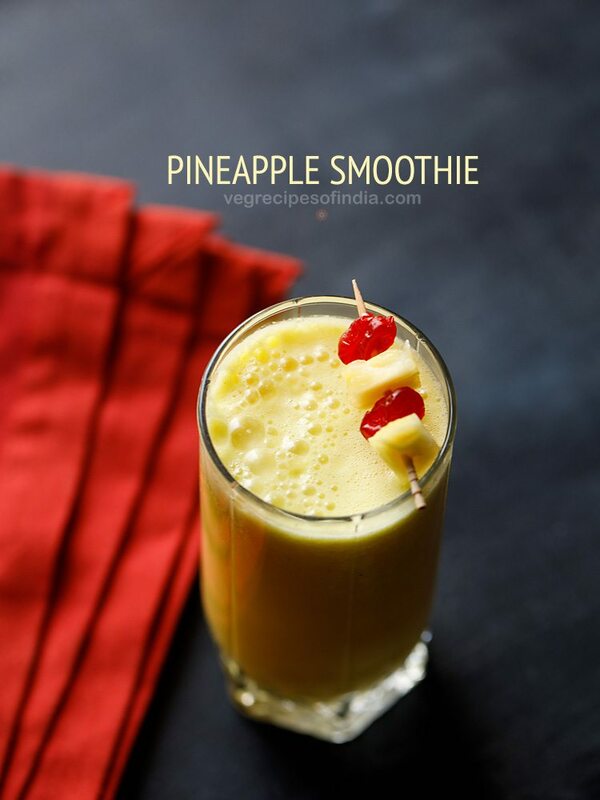 immediately cover tightly with the lid and let it cool at room temperature. once cooled, refrigerate the khus syrup. 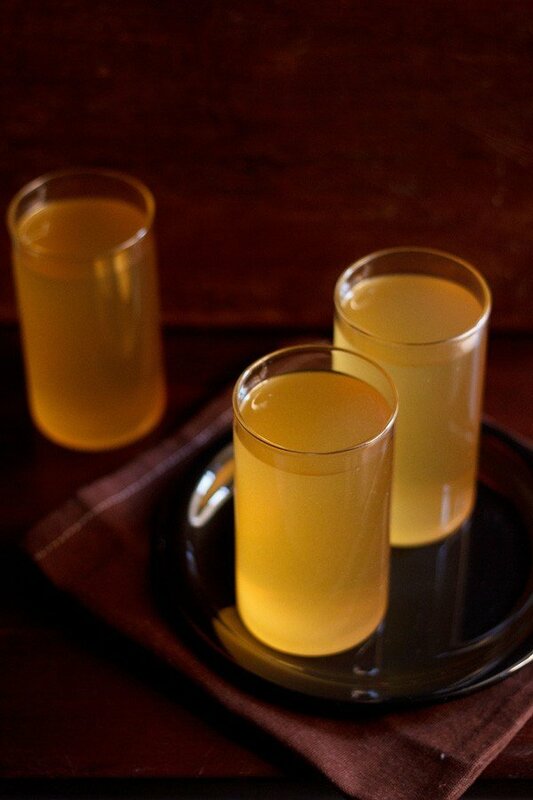 dissolve 1/4 or 1/3 part of the khus syrup with water and your khus sherbet or drink is ready. 1. first cut off the roots from the dried khus grass with a kitchen scissor. rinse the khus grass very well in running water. there might be mud particles or stones on both the grass as well as the roots. i used both the roots and grass. but you can discard the roots. if using the roots, then rinse them also very well. drain. 2. now chop the khus grass with clean kitchen scissors. 3. soak the grass in water for about 12 hours at room temperature. 4. after 12 hours, strain this solution of the soaked khus and water and collect the filtrate solution or extract in a bowl or pan. squeeze the chopped soaked grasses so that all the water is drained. then discard the khus grasses. 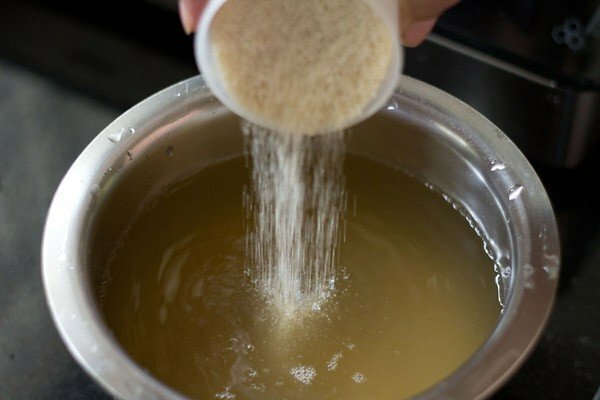 5. add sugar to this khus extract and stir well. 6. keep this strained extract solution on the stove top. stir so that the sugar gets dissolved. let the solution come to a boil. once it comes to a boil, let the boiling continue for about 5 to 6 minutes. the syrup has to be sticky to touch but not of any thread consistency. 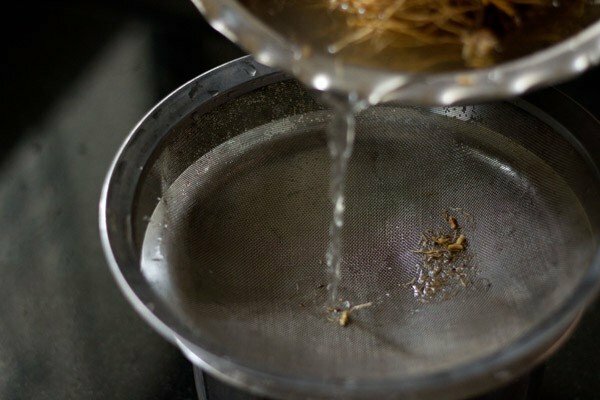 if you want, you can make a one thread syrup also. but i did not. just a slightly thick and sticky syrup was fine with me. however a one thread syrup will have a longer shelf life. 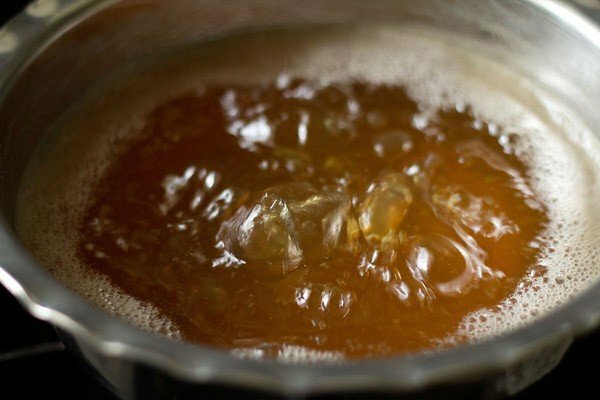 7. now strain the hot khus syrup directly in a clean canning glass jar or bottle. we are straining it again to remove the sugar impurities. close the lid of the jar immediately. let the khus syrup cool. once the jar or bottle has cooled, keep the khus syrup in the refrigerator. 8. while serving khus syrup depending upon your taste, you can dissolve ¼ or 1/3 part of the syrup with plain water or chilled water. stir very well and serve the khus sherbet immediately. Just got the dried Khus grass. Will try this soon. Thanks for posting such lovely recipes. Will update you how this turns out once I make it. 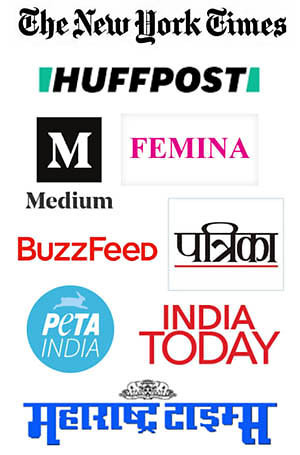 I just wanted to know from where do you buy the cast iron skillets and Kadhai? Thanks once again for the wonderful work that you are doing. Welcome Veena. Some I bought locally and some i got from amazon. check ‘lodge’ cast iron pans and ‘zishta’ cast iron pans on amazon. thanks a ton Dassana for your prompt response. I managed to get a cast iron Kadhai locally, and will order for a skillet from amazon. Just wanted to know how to clean mushrooms as I have not cooked it so far. Is it too much of a bother or is it easy? that great veena. the zishta kadais are good. i have one tawa and two kadais from them. from lodge, i have two skillets. both are good. for mushrooms, i will share how i clean them. i put them in a colander. then start the tap and rinse each mushroom under gently brushing away the mud with my fingers. i do make sure that they are cleaned very well. drain them well. then remove the muddy part of the stalk. and then slice the mushrooms. only remove the muddy part of the stalk. the remaining stalk you can keep. thanks a lot veena for your kind comment and best wishes. wish you too all the best and stay happy and blessed always. Today i got the khus grass ordered online from nature Loc kerala. Shall try making the syrup tomorrow. hi, where do u buy khus grass from? i am looking for an authentic supplier in mumbai, preferably organic. Recipe sounds too good. i hv always made and relished all natural beverages and ths was on my mind. nidhi, i brought from an ayurvedic shop in pune. i do not know of any authentic supplier in mumbai. but you should get it in an ayurvedic shop. i love this recipe. I have always been curious as to how to make khus cooler without using the ones in market. However, is there any way that this above recipe can be made only for one single use? As in i do not want to refrigerate it. I just want to make a cooler and not syrup. Is that possible? for one single use, you need to just boil a few khus grass. strain, add sugar and then have it. its like making tea. or if you want you can soak the khus in some water for one serving. strain and cook it with some sugar. then add water as required. 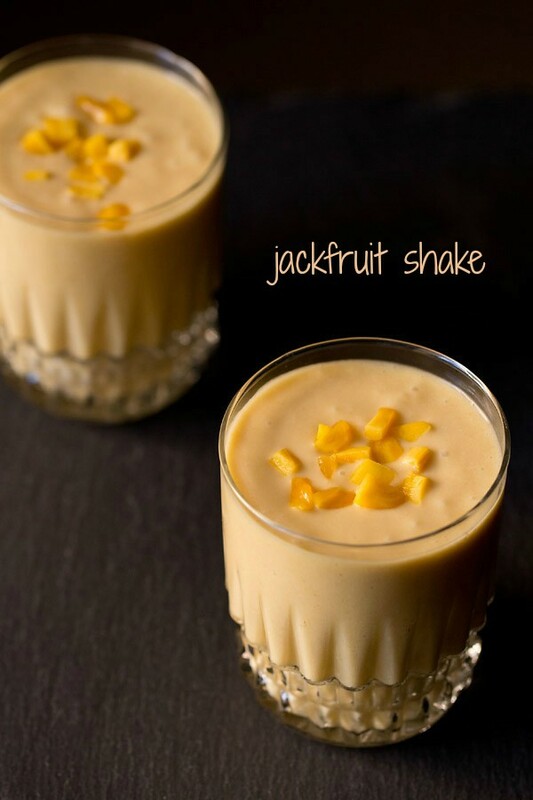 Thanks keep sharing more of such healthy recipes…. welcome bhavi. glad to know that you liked the post. thanks for your kind words. Hi Dasanna, I’ve tried your khus syrup recpie but the flavour of khus is not coming strongly or its not actually so pleae help me to gain the flavour of khus. srishti, its does not come strongly like the ready made ones. but this is better as there is nothing artificial used in it. but the flavour of khus is really absent how to increase it slightly. srishti, with me it was not like this. the smell of khus was there but its not very overpowering. i guess you have added more water. so use more khus while making the syrup. could also be because of the quality of khus. do you have any idea about the shelf life,if syrup is kept at room temperature? parveen, it may get spoiled. it depends upon your outside temperature condition also. so can’t say. if you want to keep at room temperature then you will have to use preservatives. Is there any pics before the khus grass dried up? no. we don’t have any such pic. I never knew this grass was used to make the khus sherbat! actually i have made khus syrup before but i used khus essence – which is an artificial flavor or something like that!!! just bought the dry grass today and soaked it!!! from the smell of it, i am sure it is going to turn out super good!!!! welcome palak. the essence is artificial and not the real thing. you will get best taste and health benefits after making this syrup from this grass. Hi i tried this khus recipe. What should be the sugar and water propotion . So that i can get maximum flavour with less sugar. Pakhi, you can add as per your taste. 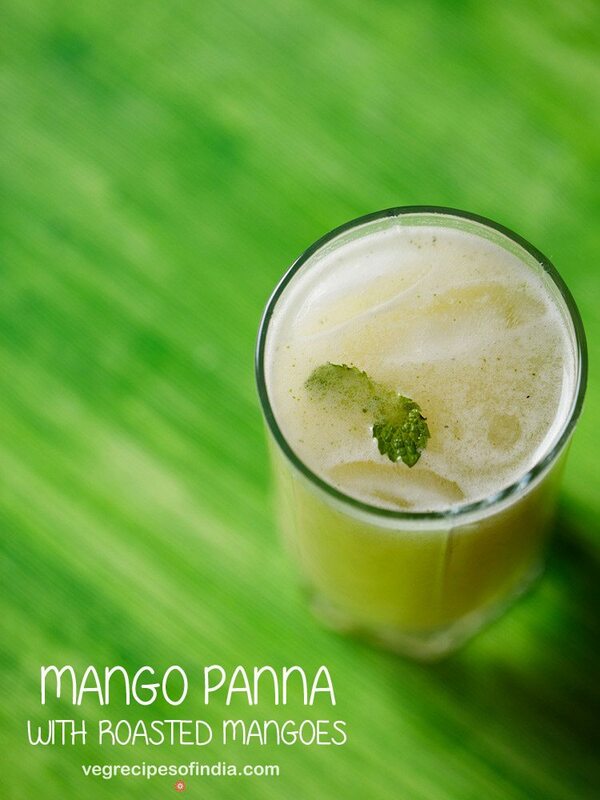 For beating summer heat this is the perfect drink…..
welcome sujata. yes its a very good practice to use everything. this khus syrup is excellent for summers. hi dassana. what to call ramacham in english.. i am trying to make it in my own restra but could not found the root yet. becoz i m out of india.. so please let me know the english name of the root which useing for khus syrup.. thanks. the english name is vetiver. the botanical names are vetiveria zizanioides or chrysopogon zizanioides. Hi Dassana, Great recipe as usual. I made this sharbat today and it tasted delicious. Reminded me of Roohafza 🙂 One question about this syrup…. I just boiled it for a few minutes. Hence my syrup did not really thicken. Is that ok or does the syrup necessarily have to be thickened? radhika, roohafza recipe uses khus. even i felt it though i didn’t mention it in the post.. forgot to write. the syrup has to be thick, you should get the sticky feeling in the syrup. if you have thicken it less then shelf life reduces so you have to finish the khus sherbet fast. thanks for the feedback on bisi bele bath masala powder. anitha, i don’t know the malayalam name but i googled it and yes you are right. its called Ramacham in malayalam and its also used to make hand fans. 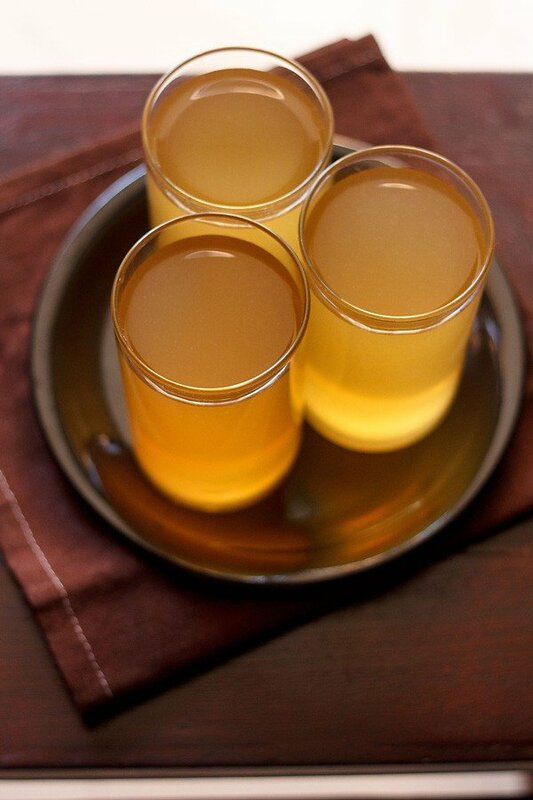 This is what exactly I need in this hot summer month…lovely color…Khus sharbat is one of my favorite summer drinks. Oh this is an amazing recipe. Please could you post more such recipes. I have a Pitta Constitution and I really suffer in summer. Would love to make my own syrups. Ps do you get Khus grass in any ayurvedic shop? Actually if you have time could you post a recipe for homemade Rooh Afza. hi karuna. i am looking into recipes for vata and pitta issues. since as a family we have either vata or pitta related issues or both. and yes they do get aggravated in the summer. 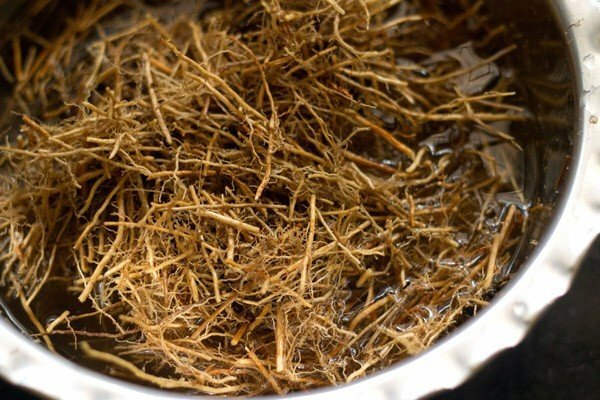 yes you should be able to get khus grass in ayurvedic shops. if not the dried khus grass, then you can get the khus powder. just soak the powder in water for the same amount of time. filter and then add sugar and then cook the solution. i cannot make homemade rooh afza as some of the ingredients, i won’t be able to get. its a complex syrup recipe and for now i feel i better stick to simple recipes. Such a refreshing drink,but I never knew we could make sherbet with this root.Here in Tamil nadu we make screens out with this root and cover windows and also hands fan are made with these.These have nice cooling property.beautiful clicks..
harini, i read about it in internet but didn’t knew that they are used in tamil nadu too. they are also used for preventing soil erosion and many other uses…. specially the oil has many medicinal benefits.